Beauty product buyers will soon be able to add their name to their makeup compact and perfume bottles, write personal messages to gift recipients, access information based on skin conditions, receive targeted advertisements and connect to social media campaigns through an electronic ink display, powered by NFC, on the product packaging. The personalised packaging will be rolled out by beauty products packaging provider Texen, in collaboration with electronic ink technology provider E Ink. The companies say the technology will allow brands to “enhance their packaging without having to alter the shape and design of their packaging”. 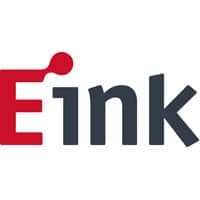 “The smart packaging design concept combines E Ink’s low power, high contrast, paper-like display technology with Texen’s packaging expertise to create customisable packaging displays for makeup compacts, perfume bottles and other cosmetic packaging,” E Ink says. “With the rise of beauty on a micro scale, our partnership with E Ink looks to enable our cosmetic customers to be the first to offer customisable digital packaging,” says Stéphane Lesprit from Texen. “Our technology has brought innovation to industries once reluctant to change, such as the pharmaceutical market,” adds Hui Lee from E Ink.